You boil the broth, then you peel all the veggies. Carrots and beetroot has to be grated. The rest of them can be just chopped. All, but cabbage. Leave it for later. When you broth starts boiling, add all the veggies into the pot. All, but cabbage. Add tomato paste, salt and spices. I love to use red pepper powder and coriander. You may also add bay leaf. Let the veggies boil on slow heat. 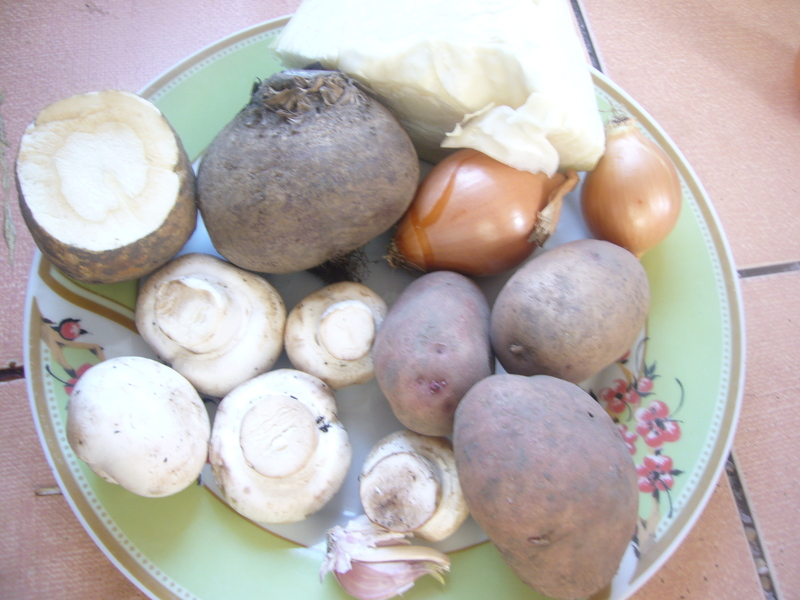 When potatoes get almost ready, cut cabbage into thin slices and add to your Borsch. Add a table spoon of plant oil (sunflower, corn or olive). Leave on the stove for 2 more min and take it off. Leave Borsch to draw a bit. The cabbage is added the last one to remain a bit raw and crumpy. 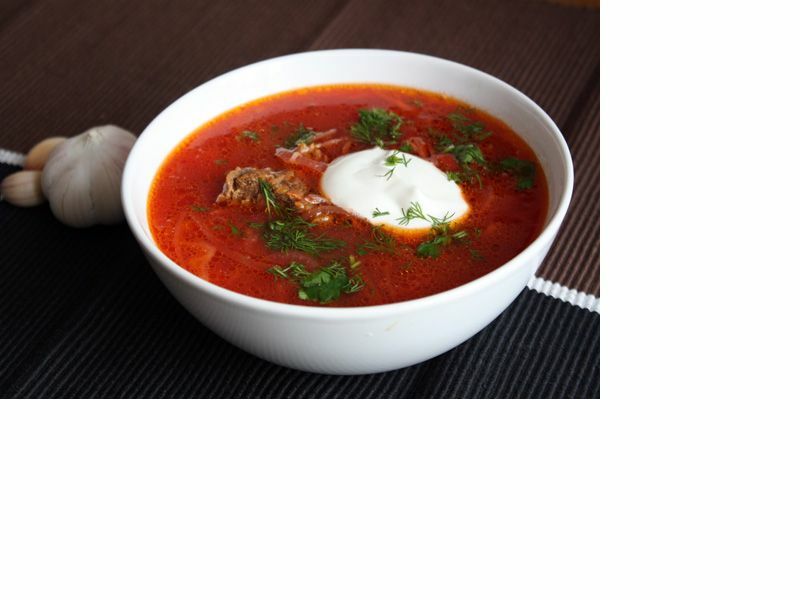 You should serve Borsch hot with a bit of sour cream. We also eat it with rye bread, bacon and garlic. In Ukraine Borsch is cooked in large pots. The trick is that this soup gets only better after few days in your fridge. It is true. It gets all the aromas and taste of veggies in it. So, you may cook it for several dinners and boil the entire pot of Borsch before each serving. It would only improve its taste. Borsch has been a favorite and healthy dinner soup, cooked in Ukraine for centuries. Till this day, we serve it even for such special occasions, as weddings or Christmas. This entry was posted in Easy Recipes and tagged Borsch, Borsch recipe, cooking, cooking tips, dinner ideas, dinner recipes, easy cooking, ethnic soup, food, health, healthy recipe, healthy soup, soup recipe, tips for moms, Ukrainian soup, vegetable soup, vegetables. Bookmark the permalink.